Connecting with nature can be a big part of our international trip, and as the world’s largest rainforest, the Amazon offers an unparalleled setting of adventure and biodiversity. Covering much of Brazil and extending into nine countries across South America, Amazonia draws visitors from all over the world seeking unique experiences of its cultures and ecosystems. New wildlife continues to be discovered, adding to the over 40,000 plant species, 427 mammals, close to 800 reptiles and amphibians, and many more. 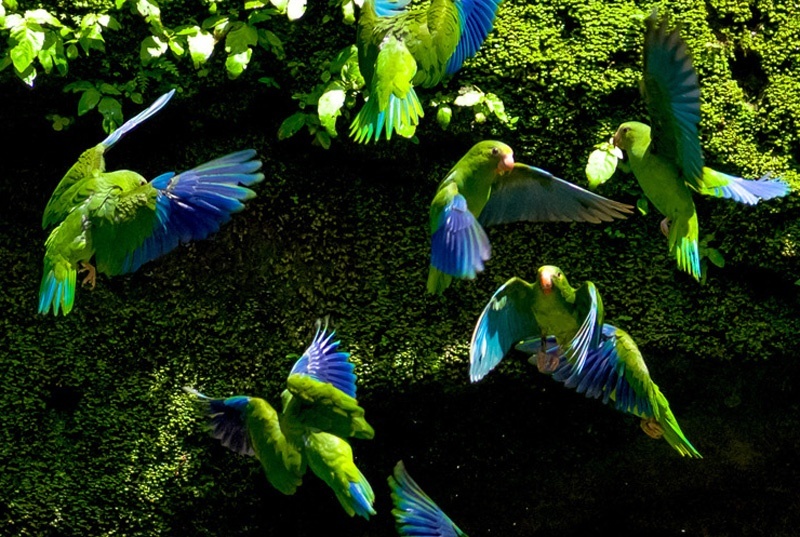 The over 1,300 bird species the Amazon boasts are of particular interest to many visitors - not only birdwatchers for their beauty, but also scientists for how they signify the health of their natural surroundings. Amazonian birds also provide food and have cultural significance for the resident indigenous farmers and hunter-gatherers, who have close relationships with all wildlife as they steward the precious and threatened rainforest. 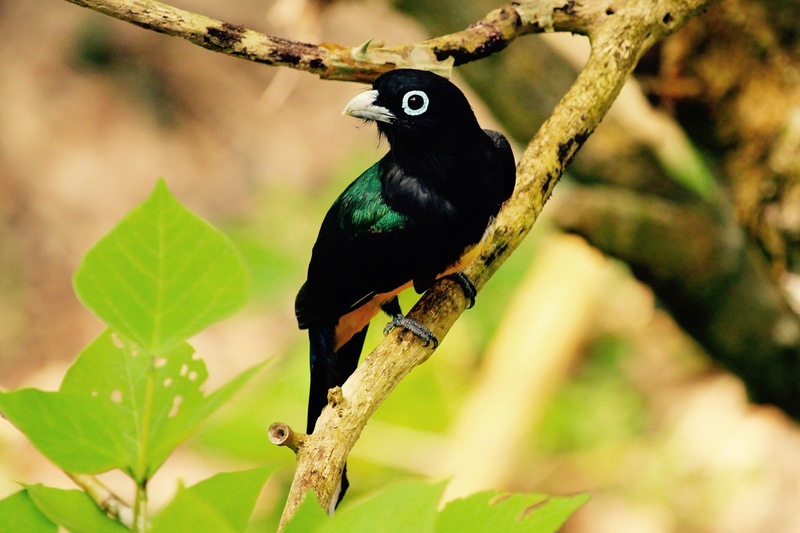 We include birdwatching tours on our trips to Ecuador, and we are proud to share that the birdwatching at our partner La Selva Lodge has been called “simply one of the world’s best birding sites” by leading bird experts. Birding tours are a great activity for novices, as birds are relatively easy to see and identify, much information is easily accessible about them in books and printed guides, and they inhabit many habitats accessible by tour companies … sometimes right off the deck of your ecolodge! neotropical birds (toucans, parrots and many more, of course! The local knowledge of the people who have long called a specific forest area home is absolutely indispensable when it comes to having the best trip possible amidst the near-overwhelming forest biodiversity. Knowing where the most sought-after wildlife is, from day to day and season to season, is something only a deeply experienced guide can do. This is an important reason why we partner with top-rate lodges and tour operators for our Ecuador tours and beyond. The specific activity of birdwatching is a very ecologically sensitive, low impact offering for sustainable travel and conservation - it seeks only to observe bird life in a very quiet, stealthy way (on foot or in a canoe, for example), with very few other environmental effects, creating minimal disturbance in the forest habitat. 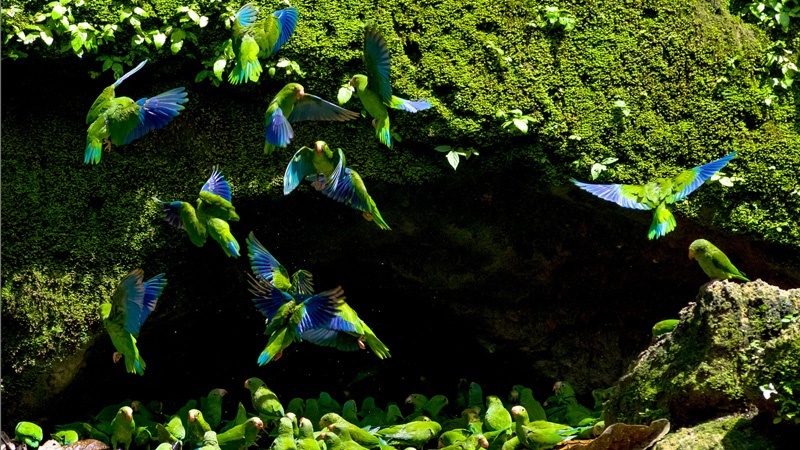 From having access to an observatory that soars above the forest canopy, to viewing the hundreds of parrots that cling to the clay cliffs of Yasuní National Park, birdwatching in the Ecuadorian Amazon will not disappoint!